July is always one of the best months for Summit County luxury home sales. Luxury homes are defined as any home sold at or above $1 million. Luxury home sales boosted the overall real estate sales volume to more than $150 million for 2018 – a $5.2 million increase over last year and $46.1 million ahead of 2016. The top three Summit County luxury home sales were for single-family homes in Breckenridge. A single family slopeside at Copper Mountain and a home at the Keystone golf course came in fourth and fifth for most expensive sales of the month. 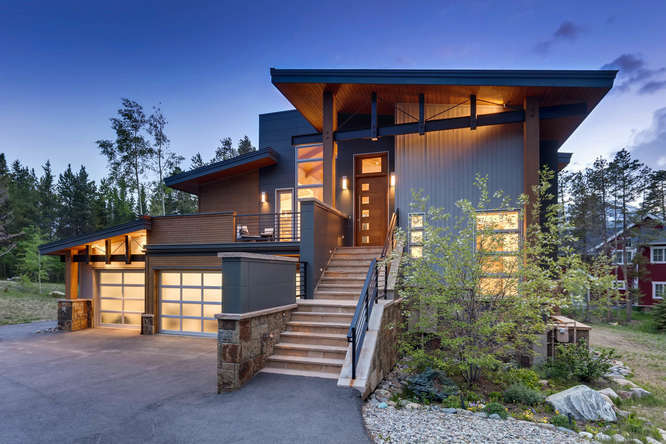 The most expensive Summit County luxury home sale of the month and so far this year was a five-bedroom, 5.5-bathroom, single-family home at 142 Penn Lode Drive in Breckenridge’s Shock Hill neighborhood. The 5,069-square-foot home sold for $4.7 million. July alone produced $147 million in residential volume, an astounding 57 percent increase over last July. The most recent monthly report has fourty-one $1 million-plus sales on record for July. Fifty-eight of the single-family homes that sold in July in Summit County, had a median sales price just over $1 million – up 17.8 percent from July of last year. Townhome and Condo sales in Summit County had a median and average sale prices of $495,000 and $600,229 respectively, which both increased by just under one-third compared to July 2017. Meanwhile, the average number of days a residence spent on the market in Summit County was down 14 percent and the inventory of available homes for sale was down a whopping 37.8 percent. The Colorado Association of Relators found the number of homes pending sale or under contract in July was up 6.4 percent compared to July 2017. However, the number of listings sold was down 3 percent with a median sales price of $390,000. Nationally, July brought the same with a 0.7 percent decrease in sales, according to the National Association of Realtors, while the median sales price is up 4.5 percent. Inventory is extremely limited nationwide. If you are considering divestiture of your Summit County residence please give us a call today at (970) 453-1450. Buyers are plentiful and values are reaching the highest we’ve ever seen.